Not valid for set lunches and value set meals. 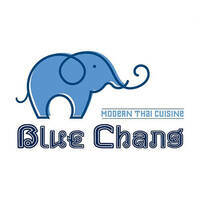 Serving up modern Thai food with a cosy, casual cafe vibe, is Blue Chang MODERN THAI CUISINE as they enter Penang’s illustrious food scene. Located at the Penang club annexe, the restaurant is accompanied by an intimate atmosphere with its minimalist elegance. Their menu features flavoursome Thai food, with a modern twist such as their pad Thai with shrimp, spicy braised pork knuckle rice, phad see yew, and much more.